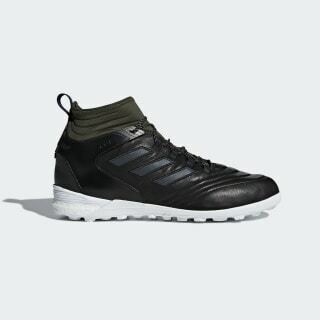 These turf soccer shoes lock you in so you can outclass your rivals. 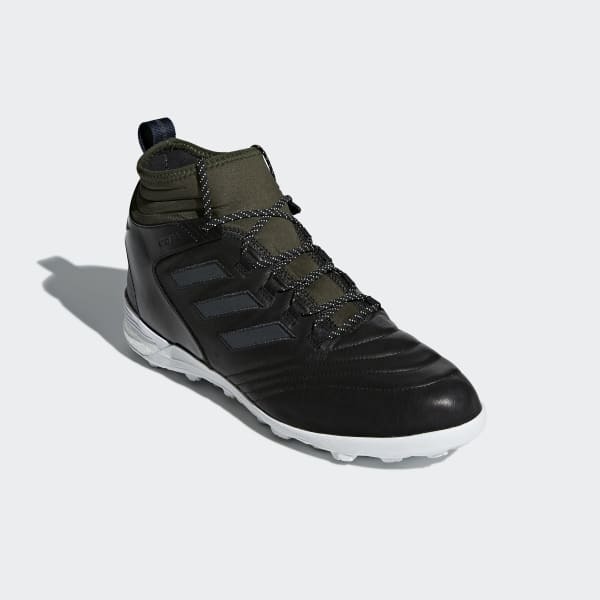 They have a mid-cut leather upper for a soft touch. Under the heel, responsive Boost cushioning absorbs the impact of your stride. A breathable, waterproof lining helps your feet stay dry and comfortable in soggy conditions.